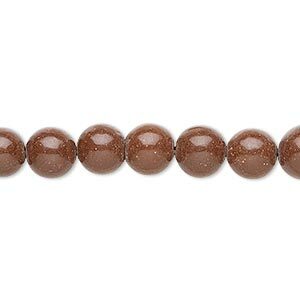 Bead, clay, brown, 7-8mm round. Sold per 15" to 16" strand. 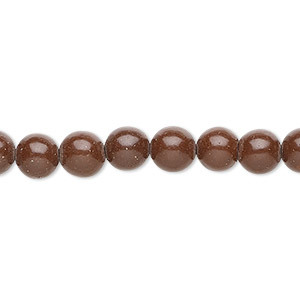 Bead, clay, brown, 5-6mm round. Sold per 15-inch strand. 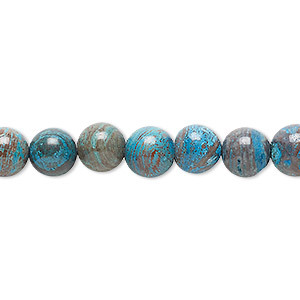 Bead, blue sky jasper (dyed / stabilized), 8mm round, C grade, Mohs hardness 6-1/2 to 7. Sold per 15-1/2" to 16" strand. 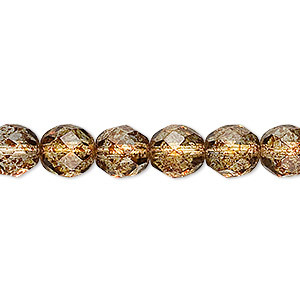 Bead, Czech fire-polished glass, tortoise gold, 8mm faceted round. Sold per 15-1/2" to 16" strand, approximately 50 beads. 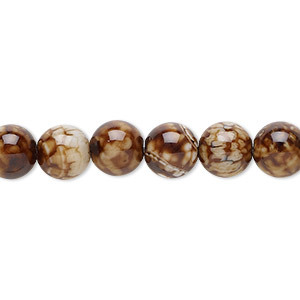 Bead, chocolate crackle agate (dyed / heated), 8mm hand-cut round, B grade, Mohs hardness 6-1/2 to 7. Sold per 8-inch strand. 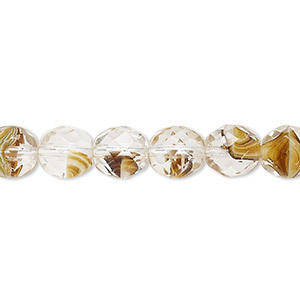 Bead, Czech fire-polished glass, clear and brown, 8mm faceted round. Sold per 15-1/2" to 16" strand, approximately 50 beads. 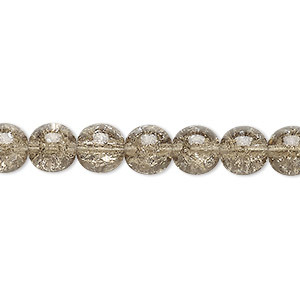 Bead, Czech crackle glass druk, smoky, 8mm round. Sold per 15-1/2" to 16" strand, approximately 50 beads. 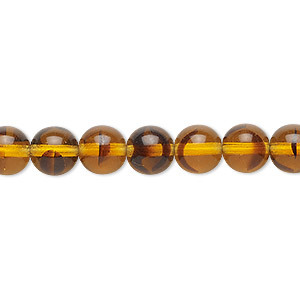 Bead, Czech glass druk, transparent tortoise, 8mm round. Sold per 15-1/2" to 16" strand. 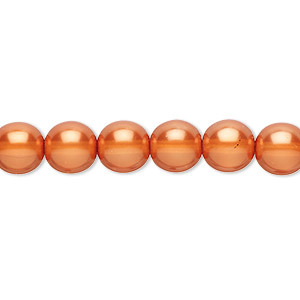 Bead, Czech pearl-coated glass druk, opaque to translucent, copper, 8mm round with 0.8-1.3mm hole. Sold per 15-1/2" to 16" strand. 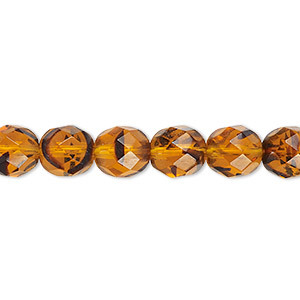 Bead, Czech fire-polished glass, tortoise, 8mm faceted round. Sold per 15-1/2" to 16" strand, approximately 50 beads. 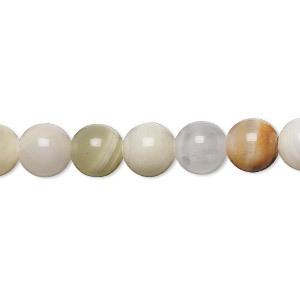 Bead, Italian "onyx" (onyx marble) (coated), 8mm round with 0.5-1.5mm hole, B grade, Mohs hardness 3. Sold per 15-1/2" to 16" strand.